Meaningful, sustainable growth takes time and thought. Here are some great places to begin. Don't get overwhelmed by all you see below. These aren't meant to be used all at once, all the time, or in any specific order. This is truly a library—a grouping of things you might be interested in, there for when you need them. Look through what's here and familiarize yourself with your options. Knowing what's available will come in handy when you find yourself needing some help. Then choose a place to begin and get started! You can always get in touch if you have questions. Enjoy! These resources are here to help you start an ongoing practice that can be a grounding point or anchor in your days. When you try to change too many things at once, you usually don't make much progress. 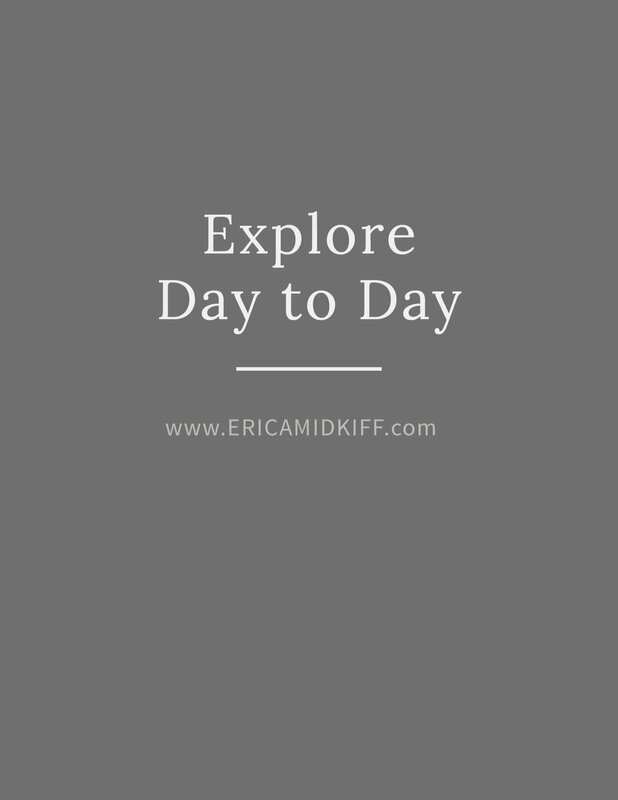 This process, along with Monday check-ins on Instagram, can help you focus in on one thing at a time and help make real growth and change happen. When you decide to make a change, there’s an implied “forever” that can feel a bit overwhelming. This worksheet will help you create an experiment instead—try doing something for a set amount of time and then evaluate how it went to help you decide where you go next. Much less pressure! We all have a lot of things on our minds these days. This guide walks you through a simple process to help you clear space in your mind through intentional (behind-the-scenes) writing. 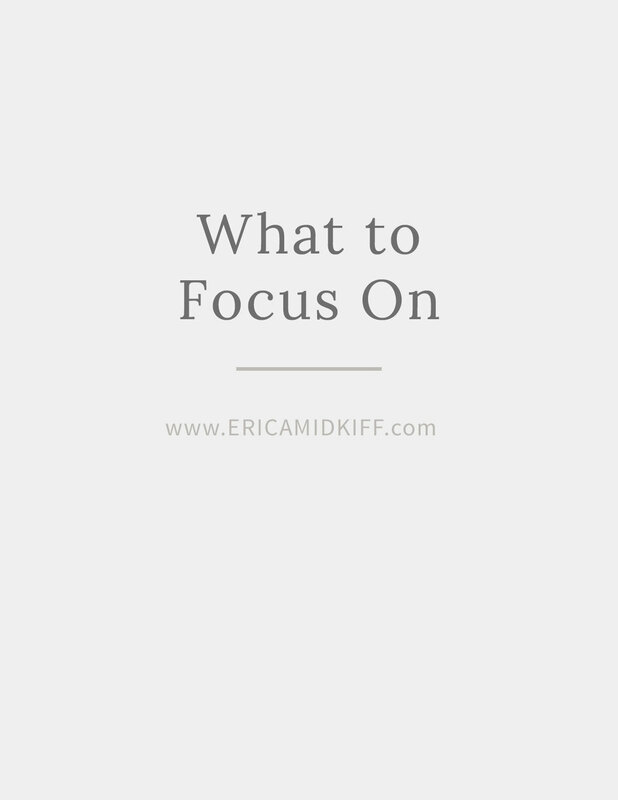 There are seven prompts for things we all face each day, like distraction and comparison. Check it out and start making space today! These resources are designed to help you discover more about yourself, do what works for you, and act from your truest self. Being stuck is inevitable, but you don't have to stay there. This worksheet will help you think about how you’ve handled being stuck in the past and then brainstorm ways to tackle it differently in the future! Getting stuck? Inevitable. Staying stuck? Doesn't have to happen. I've created a new guide, Stay Unstuck: A Guide to Awareness and Action, and this is an excerpt from that guide. It shows a step-by-step example of how a creative could use the Stay Unstuck work in their everyday business life! These resources are here for when you need help or you're facing a problem that you're struggling to solve in other ways. 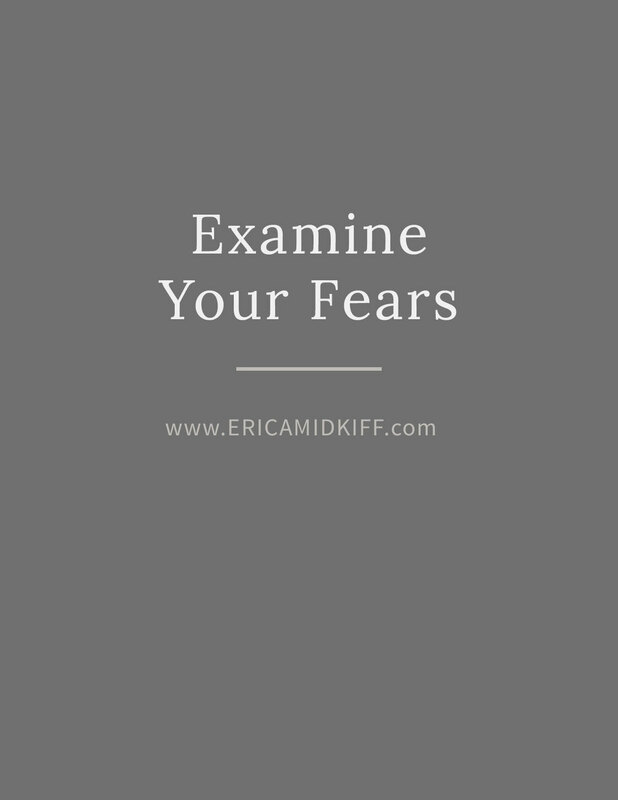 I find that if you’re able to pause for a few minutes and really examine what you’re afraid of, you’re better able to face those fears and work alongside them rather than letting them stop you in your tracks. When you start feeling uninspired or unmotivated by the plans you've made and the dreams you have, it's time to do something. This worksheet will help you review your dreams, refresh your plan, and recommit to the things you want! When you know you need to ask for help or make a change but you're not sure where to begin, stop for a moment and take a good look at where you are. That will help you figure out the best next step for you! Stay organized as you go! These resources are designed to help you stay organized and help reduce overwhelm as you work on growing and changing into the life you want! Often, my most interesting thoughts come to me when I’m focusing on something totally unrelated. And if I don’t intentionally write them down, I lose them. So I created this set of worksheets to help you (and me!) 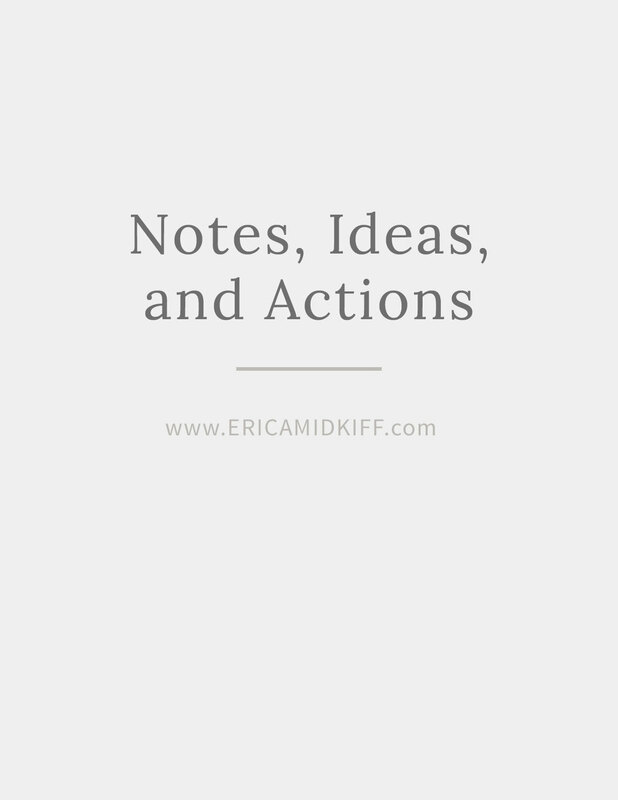 capture those notes, observations, connections, ideas, and action steps instead of losing them forever. Please note that these are free for you to use but not to distribute. If you enjoy them I'd love for you to share them with a friend—but the best way to do so is to have your friend sign up to receive access right here. Thank you so much for being respectful! You're the best of the best.